Ah! 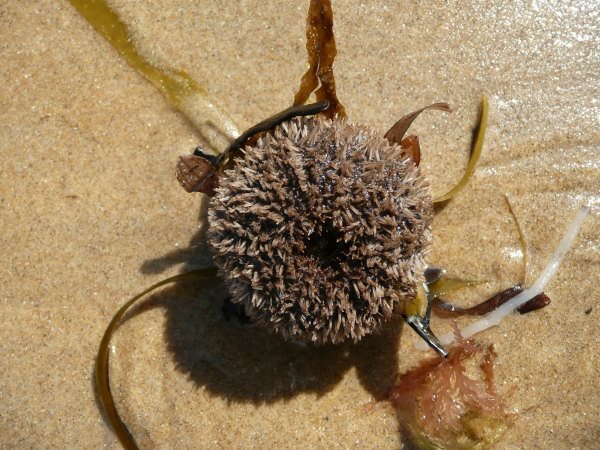 Feel the sand between your toes with some Phillip Island beachcombing. 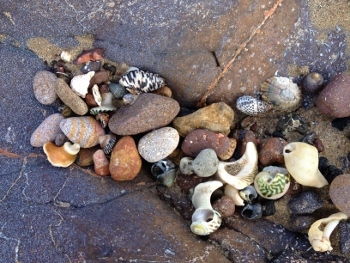 Nothing relaxes the mind and body more than a walk along the beach looking for shells. Or seeing what the sea has washed onto the tide line. 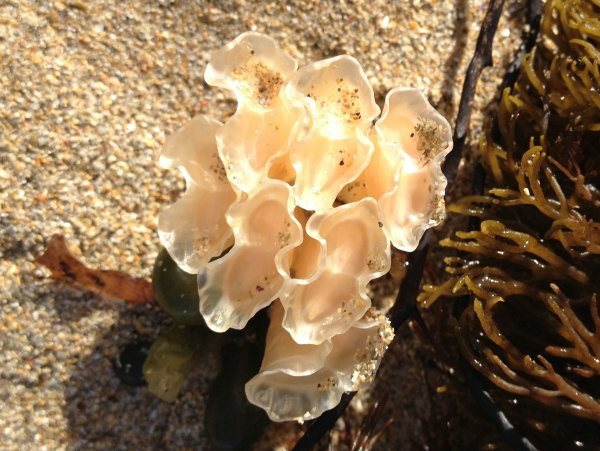 Apart from shells you might find shark egg cases, sponges, egg masses, cuttle bone or sea glass. 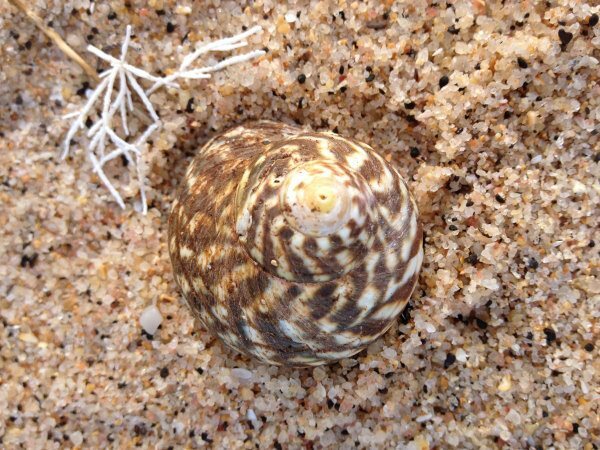 Some species of shells are protected. They are identified on signs at beach entrances. 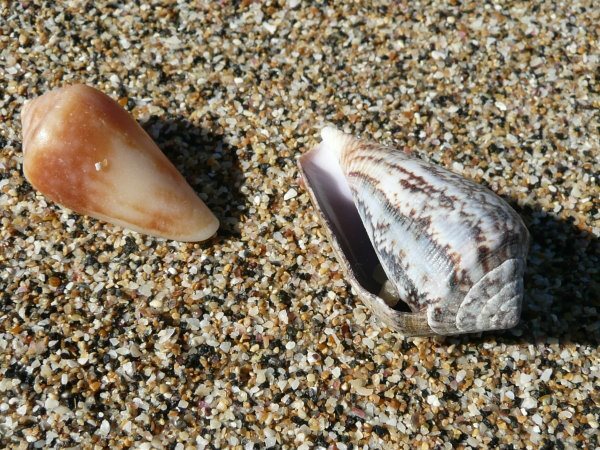 Please do not remove these shells. Fisheries and Wildlife Department personnel patrol the coast. 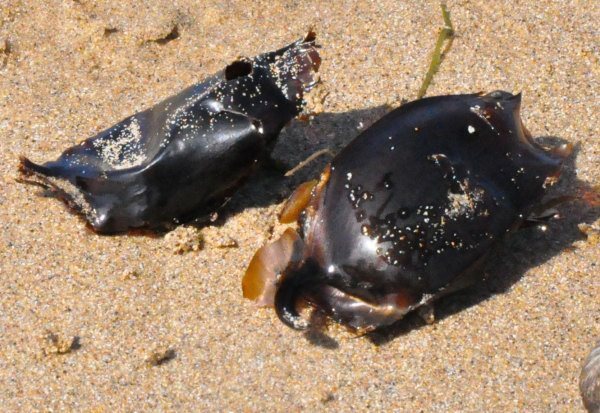 By the time a shell has been washed up onto the beach, the creature that used it as a home has gone. 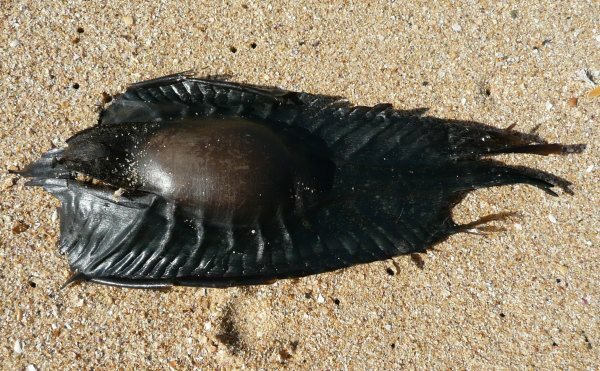 If there is still a creature inside, leave the shell on the beach or return it to the sea. 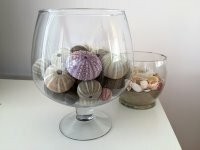 I love to look for sea urchin shells as they are great for decorating my seaside home. 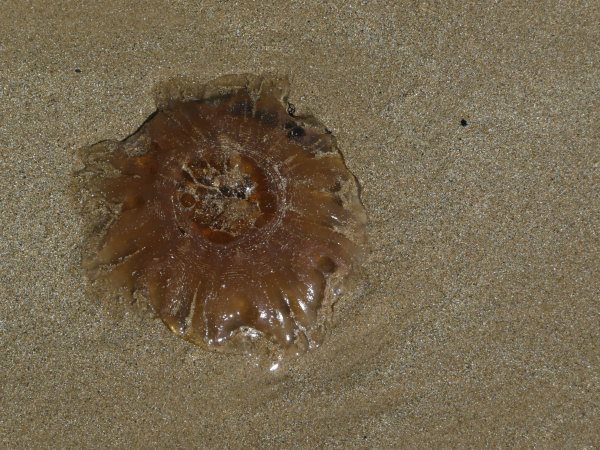 To help keep our beaches clean, bring a bag with you to collect any rubbish such as plastic. 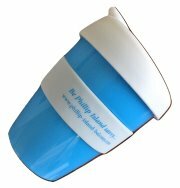 This can also save the life of seabirds and sea creatures which often mistake shiny plastic as food. 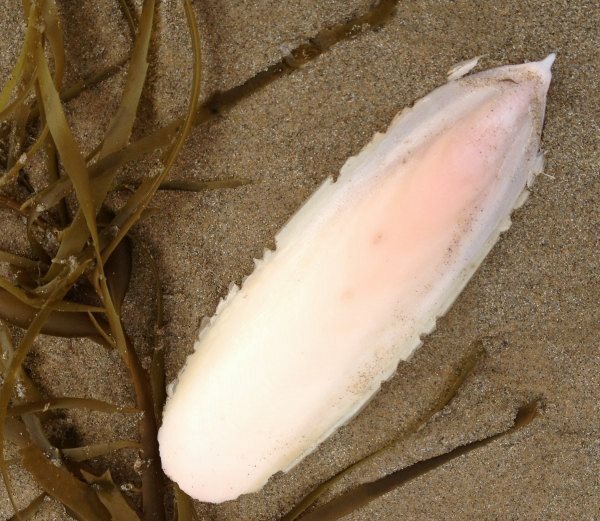 One shell to avoid is the anemone cone shell. 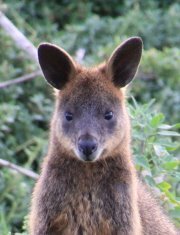 They have a toxin which they use to immobilize prey. 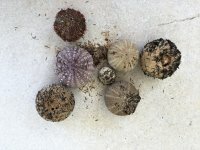 Do not pick up live anemone shells. 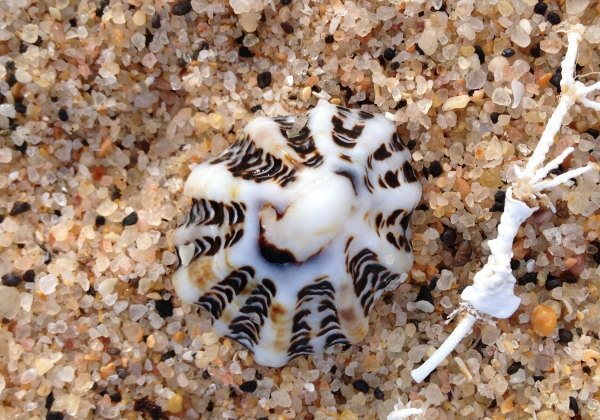 The shell can be up to 8cm long but on Phillip Island is usually around 4-5cm and is common in the tide line debris. 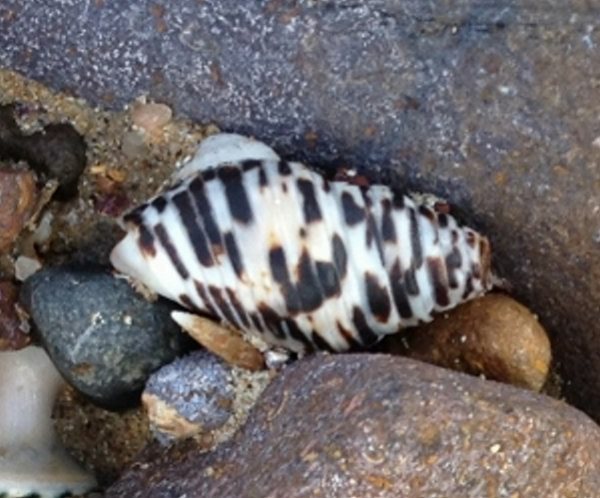 The irregular patterns on the shell can be in purple, brown or white tones. 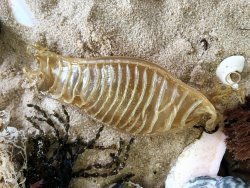 Some of the most unusual finds when beachcombing are shark egg cases. 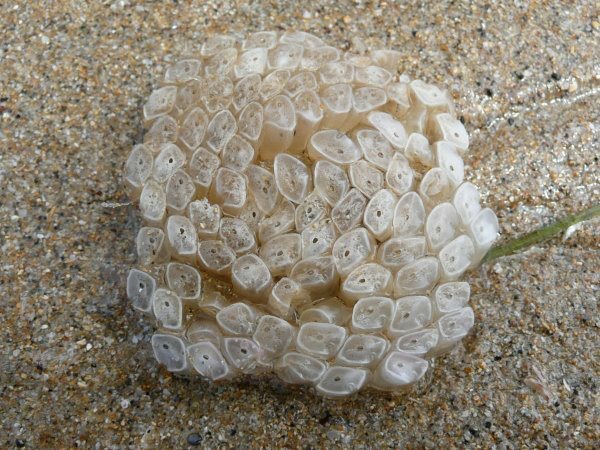 The females of some shark species lay egg cases from which baby sharks later hatch. 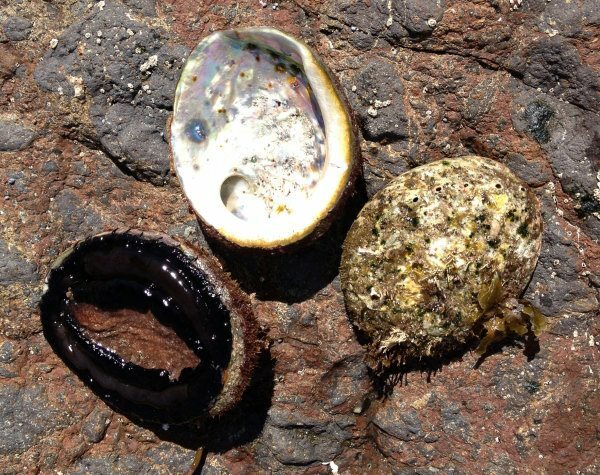 On Phillip Island I have found four different types. 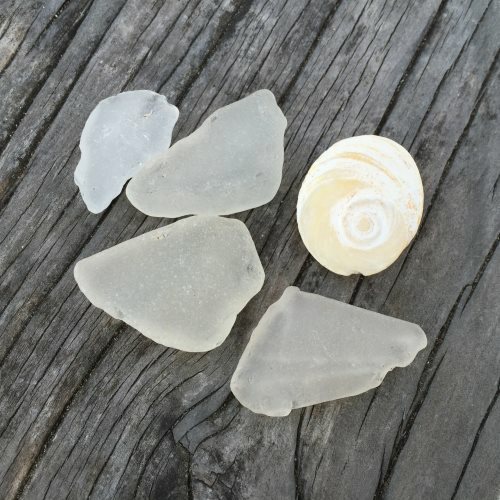 Sea glass is weathered glass which has been frosted and rounded by the sea. 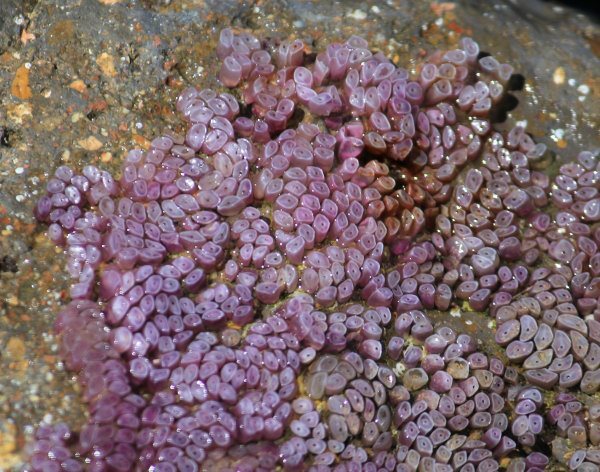 It could have been rolled in the sea from 20 to 30 years for the characteristic texture and shape. 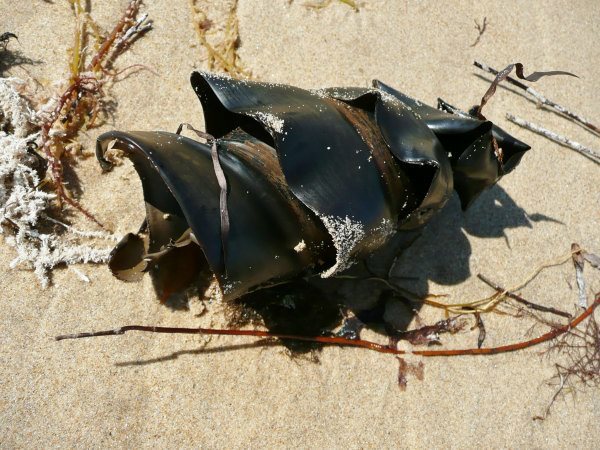 Coming from sources such as broken bottles, tableware and shipwrecks sea glass can come in different colours including green and brown, with white (clear) being the most common. Usually found after king tides or at low tide after a storm, sea glass is popular for making jewellery and decorative pieces such as mosaics. 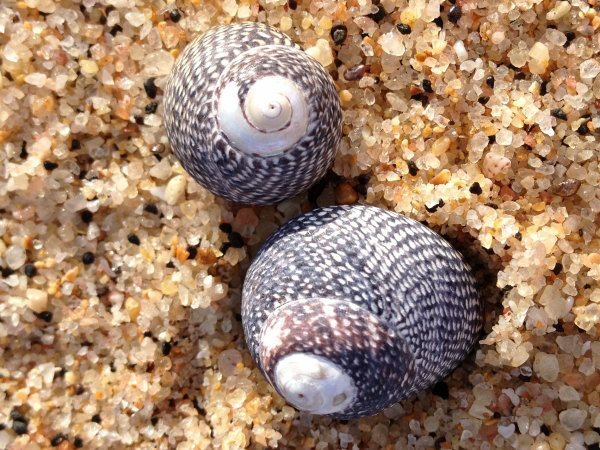 There are many more treasures for you to find as you go Phillip Island beachcombing! Discover!